August 21, 2012 (Jackson) - The 2012 Fall Chapel Schedule is ready for viewing and students can look forward to hearing from inspiring speakers who long to share the truth of Gods word. Every week chapel is a time to worship, discover, and experience the living relationship with have with our Creator. All students who are not exempt from chapel are required to attend a minimum of ten sessions each semester. Faculty and staff are encouraged to attend as well. 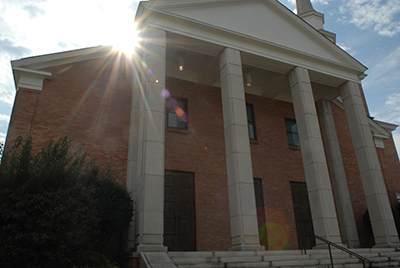 Chapel is once a week at the Belhaven Center for the Arts. All services are on Tuesdays from 11:00 - 11:50 A.M., unless otherwise noted.